Imagine that you are a business analyst who works for an organization with executives, managers and colleagues who do not appreciate the power of analytics to improve an organization’s performance. 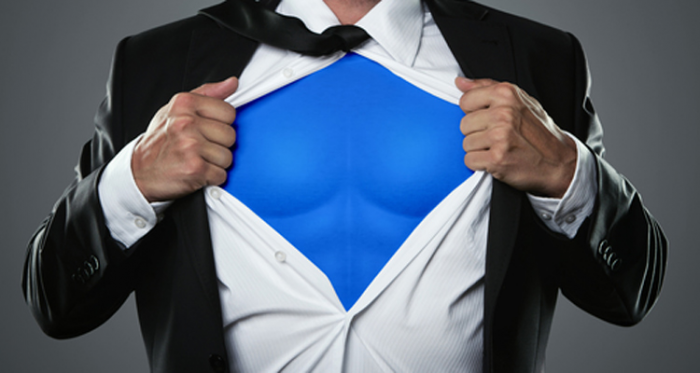 If you could have one superpower, what types of powers might capture the attention of your co-workers? An analyst who can soar to great heights and get a holistic view with perspective can better see what is really happening. How are customer demand patterns changing? How are supply chains being obstructed? With unstructured text analytics and sentiment analysis, what is being said in social media about your organization or your competitors? An analyst who can travel back and forth through time could perform experiments by changing variables and seeing the effects. They could continue to repeat their experiments for sensitivity analysis to understand how independent input variables impact dependent variables. How much is the impact? What actions might work best? An analyst who is invisible can listen to conversations of existing and potential customers and stakeholders. With this information, they can learn these constituents’ interests and their opinions about your organization and other organizations that are of interest. They can listen for customer sentiments – somewhat like text analytics – of your organization and competing or similar ones. An analyst who can know what people are truly thinking (mental telepathy) will be able to determine in advance what customers want in terms of products, solutions and services. With mind control, an analyst can influence what a work colleague is thinking, which is handy if the co-worker or executive is rejecting the findings of the analyst. An analyst with such a tool can influence desired results. They can determine an effective marketing message or campaign, and then guide people to observe it and thus favorably respond to it. An analyst who can, for example, convert sun rays into electrical power or lines of computer code would have substantially greater capabilities to be productive. An analyst who can spontaneously disappear and reappear elsewhere (teleportation) could dynamically attend planning meetings or be with different customers or stakeholders. This speed of light transportability would allow them to traverse to many locations to share their insights or to empower others to make better decisions. An analyst who can influence machines, including information technology, can direct equipment and technology to produce better results. An analyst who can move objects can reposition instruments like kiosks or sensors into more ideal locations to capture data. They can rearrange items on retail shelves to test for better consumer purchases. Any of these superpowers (and maybe others that I have not listed) could be fun and perhaps a bit scary. My choice would be the ability to see and alter the future. Of course, the premise is that by seeing the future, changes can be made in the present that will alter the future. This is the space of predictive analytics. However, does an analyst really need this superpower? With today’s predictive analytics software, in many cases analysts can already get a reasonably accurate sense of the future. At a minimum, they can advance from testing possibilities to probabilities, which is a more quantitative approach to assessing outcomes. Keep an eye out for prescriptive analytics (i.e., optimization). Predictive analytics display possibilities. Prescriptive analytics is the highest stage of the analytics continuum – what is the best decision? Will Hollywood create a blockbuster film about analysts with superpowers? Maybe someone out there with a crystal ball can let us know.